New version of the multiplayer for pirates gta 4. For the game, you need 1.0.7.0 English patch. I advise everyone to download. 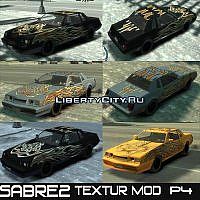 The people will explain briefly and clearly with the help of IV-MP you can play on the pirated version of Grand Theft Auto 4. For the game you need a patch 1.0.0.4 (Patch 5). Enjoy the game.